Do you ever wonder what makes a great salad? After having years of trying hundreds of various recipes, I’ve got some serious demands for what to include to make a salad a GREAT SALAD! 1. Use a variety of fresh lettuce, with different shapes and colors. 2. Include a protein such as fish, chicken, chopped hard-boiled eggs, chopped thick, smoked bacon or prosciutto (tofu if you prefer meatless salads). 3. Add another vegetable or two — avocado chunks, red peppers, red onions, cucumbers, etc. 4. Add in nuts — we love both slivered almonds and praline sugared pecans. 5. Include fruit — dried cranberries or fresh strawberries and cherries are superb! 6. 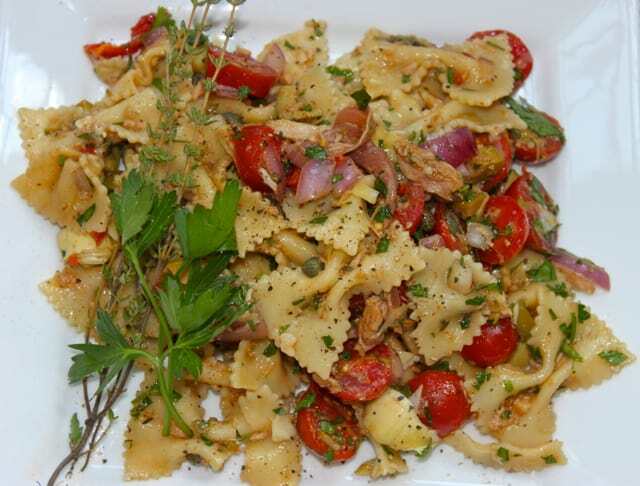 Garnish with cheese — shaved manchego, Parmigiano or clumps of gorgonzola/blue cheese or goat cheese. 7. Drizzle on a wonderful vinaigrette (homemade is best). These are just the foundation of a superb mixed salad, and if you go by this list of ingredients, you can make adjustments for your own taste preferences. So with those 7 tips for a great salad, this fabulous Grilled Salmon with Mixed Green Salad was created for tonight’s dinner. Healthy too! But you’d never know! 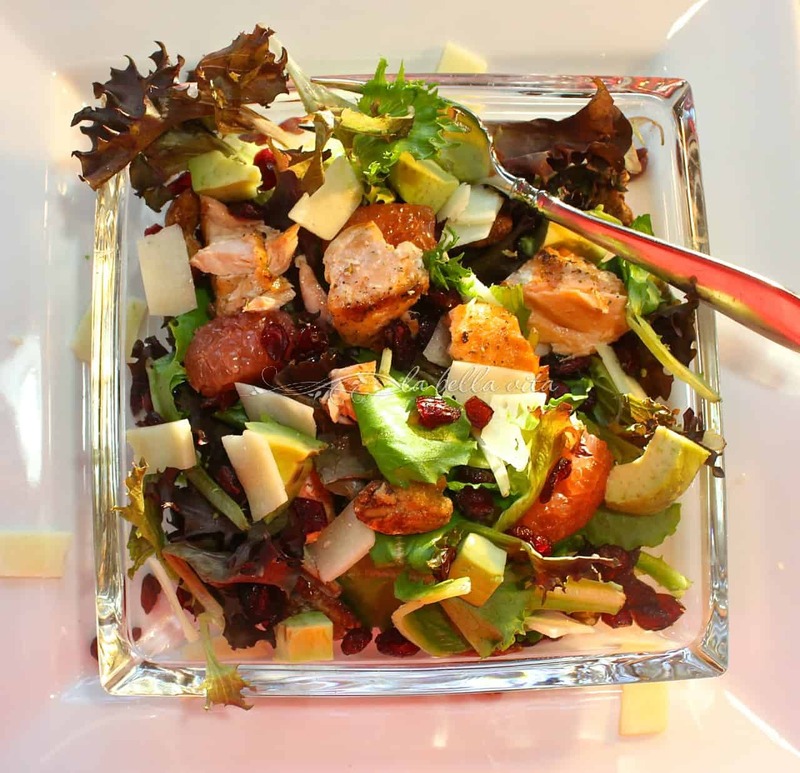 So there are 7 tips for a great salad with a grilled salmon salad with mixed greens to show how to put the ingredients all together! 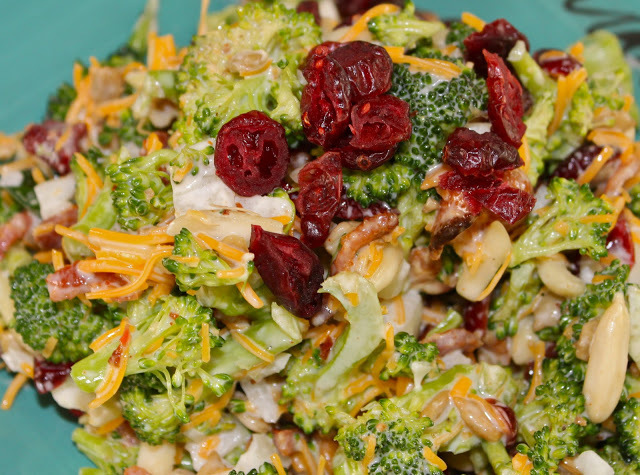 Here are a few more delicious salads that follow the same tips that I know you’ll enjoy! Let me know what I’m missing! What do YOU insist on being included in a great mixed salad? 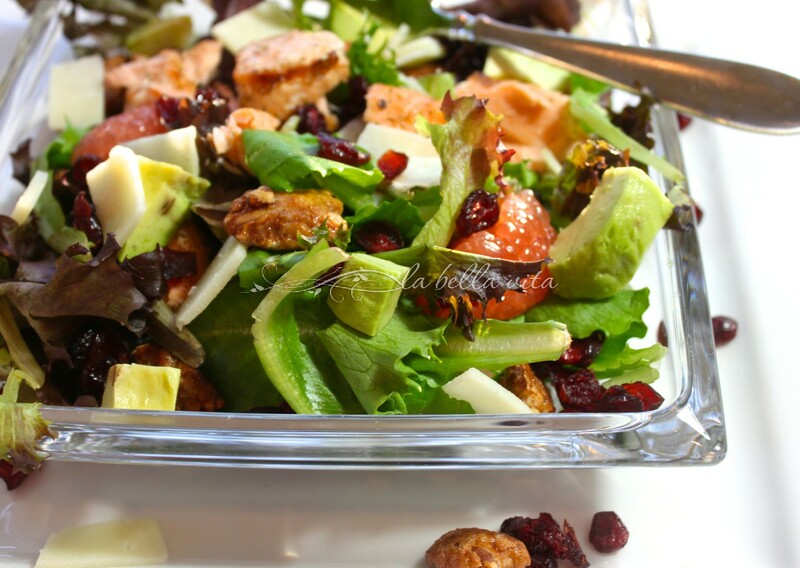 Delicious looking salads Roz. My answer to what makes a great salad would have to be Bev. Thanks Larry . . . my husband leaves the salads to me too. Like you, I leave the grilling to him! Some things are better that way! And from all of your posts about salads made by Bev, she would be a go-to authority. I’d say that you are the grill master! What a great idea to make sure that there is a delicious salad on a specific night of the week! I’ll have to borrow that idea Jessica! Thanks for your sweet compliment! Hope you’re doing fantastic! That’s an amazing salad, Roz. Thanks for sharing all the great tips too. You’re welcome Angie . . . you’re the one who inspires me with so many salad tips! I’m in complete agreement with your requirements for a great salad. These looks delicious! Thanks Bonnie . . . it takes a little more than just throwing some lettuce together, but it’s worth it! Thanks for your compliment! Happy New Year, U.S Roz. from Canadian Roz! Thanks Canadian Roz! Thanks for connecting better as friends on FB! I appreciate all of the love and support you have sending me the last two insane weeks of my life! These are gorgeous! My husband adores his salmon – and will be making this…. when the temps climb above 0 degrees F! I do concur that adding fruits and nuts really makes a salad interesting. Happy 2015! May it bring all good things. Hey Claudia! I’m waiting to read more great recipes and stories on your blog! 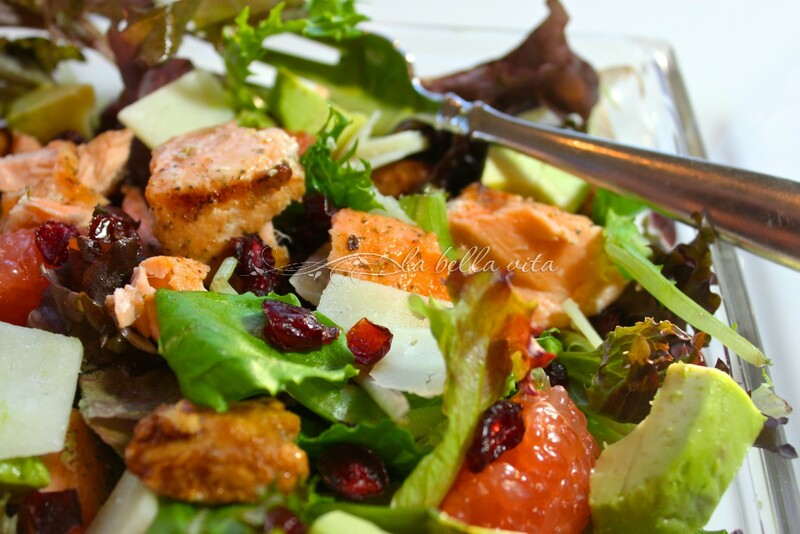 Thanks for your kind visit and comment about this salmon salad. I really feel so good when I eat more salmon. . . it’s just one of those foods that makes me feel better about eating healthier! Great tips Roz. I could eat your salmon salad often and never tire of it. Hi Sam, I never tire of salmon too. I love the salmon cakes that Larry (Big Dude) just re-shared on his blog this week. I hope you’re doing well. Health is so important to our happiness and I know that you eat very healthfully with all of your wonderful recipes! Delicious, healthy and perfect for the start of the new year. 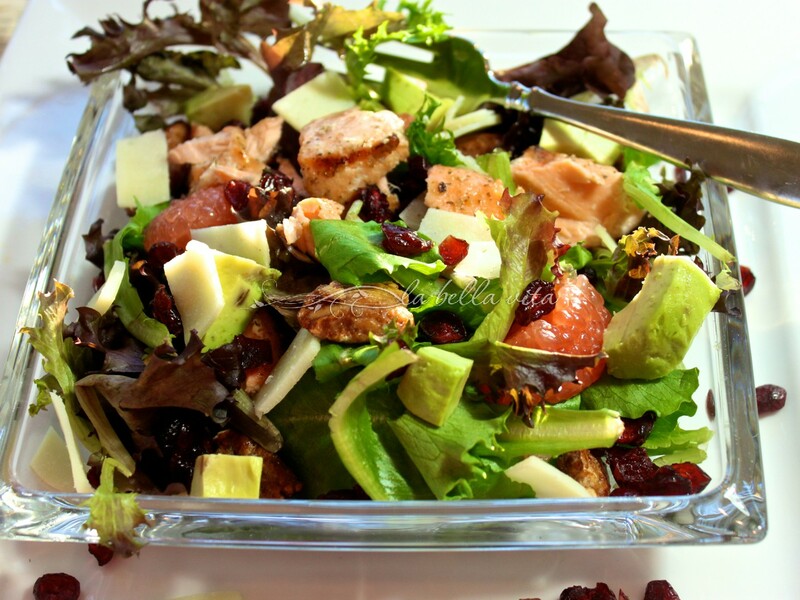 After all the sweets of the holidays, salads are making an appearance on our table as well. 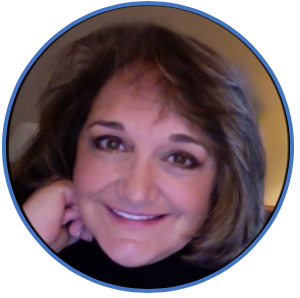 Hi Karen, So nice to hear from you! I need to have more salads each and every day! I need to do better planning so that I do. Hope you’re doing well! Love these tips! They would guarantee a delicious salad. And, I love grapefruit and avocado together in a salad! Thanks Lisa! You’ve always got so many wonderful recipes too! I agree with you about all those things making a great salad, too! 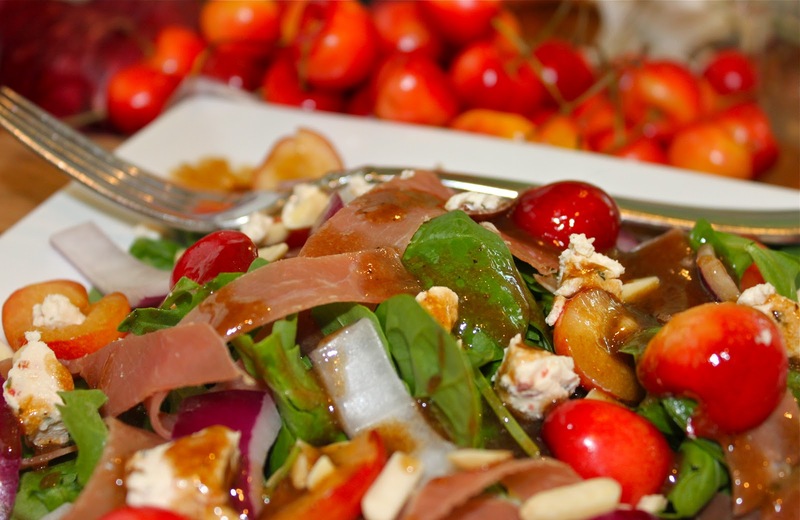 Once I started making my own salad dressing it revolutionized salad for me. Some of my favorite ingredients are feta, Craisins, and purple onion. I also love nuts. I always have to make 2 salads for Jeff and me because he absolutely hates fruit in salads, and I just love it. Thanks for sharing your tips. There were some ingredients that I hadn’t thought about using in a while, and it always helps to get inspired with new ingredients! I really love your Italian Tuna Pasta Salad photo. Makes me want to go out right now and serve it up for lunch!